Tong(e) Wills & Admons 1900-1919 : Extracts of Tong(e) entries compiled and kindly contributed by Bill Tong of West Sussex (J. W. Tong): abridged extracts taken from the Index held by the Probate Department of the Principle Registry Office of the Family Division – Somerset House and latterly High Holborn. Mary Ann Tong – d. 5 December 1900, of Deptford, Kent, widow – to Edwin Fishly Eddy, blacksmith and Arthur Bradley, customhouse officer. Miriam Louisa Tong – d. 7 November 1900, of Deptford, Kent, widow – to Asa Tong, shipping clerk. William Winford Tong – d. 31 December 1899, of Faversham, Kent – to Frank Crosoer, bank clerk and Charlotte, spinster. Ann Tonge – d. 8 May 1900, of Ramsbottom, Lancashire, widow – to James Riley Tonge, grocer. Frances Jane Tonge – d. 11 December 1899, of Richmond Hill, Surrey, widow – to Charles Francis Tonge, gentleman and Gilbert Augustus Tonge, provision dealer. Hannah Tonge – d. 12 December 1899, of Newton Heath, Manchester, wife of Edward Tonge – to the said Edward Tonge, licensed victualler. James Tonge – d. 20 December 1899, of Great Lever, Bolton, gentleman – to John Yates, pawnbroker, John Tonge, engine driver and Thomas Tonge, railway clerk. John Tonge – d. 15 July 1900, of Bolton, Lancashire, nightwatchman – to Mary Ann Miller, widow. John Wolfit Tonge – d. 11 August 1900, of West Stockwith, Nottinghamshire, rope maker – to Frank Bradford, schoolmaster. Samuel Bardsley Tonge – d. 5 March 1900, of Greenfield, Yorkshire, butler – to Samuel Bardsley Tonge, grocer. Sarah Hare Tonge – d. 22 March 1900, of Felixstowe, Suffolk, widow – to Rosalie Sarah Allen, wife of Robert Allen. Stanley Tonge – d. 17 December 1899, of Bury, Lancashire, iron moulder – to Margaret Tonge, widow. Thomas Tonge – d. 9 May 1900 (at sea), of Liverpool – to Elizabeth Tonge, widow. William Tonge – d. 22 October 1887, of Birkenhead, Cheshire, shipbroker – to Lavinia Ellen Tonge, widow. Edward Tong – d. 13 June 1901, of Romsey, Hampshire, gentleman – to William Edward Manning, naval pensioner. Jane Tong – d. 6 December 1900, of Rochester Kent, widow – to Matilda Jane Beaumont, wife of Thomas Beaumont. John Tong – d. 22 November 1901, of Nottingham – to Fancy Wells, wife of William Wells. Charles Richard Tonge – d. 12 September 1901, of New Silksworth, County Durham, miner – to Mary Ann Tonge, widow. Elizabeth Tonge – d. 15 April 1901 in Cape Colony, South Africa, of Longsight, Manchester, spinster – to Alfred Tonge, shipping clerk. Hannah Tonge – d. 22 July 1901, of Stockport, Cheshire, wife of Alfred Tonge – to the said Alfred Tonge, coal merchant. James Henry Tonge – d. 18 July 1900, of Leigh, Lancashire, gentleman – to Thomas Darwell Harrison, agricultural engineer, Edwin Kay, brewers traveller and John William Unsworth, solicitor. John Joshua Tonge – d. 13 September 1901, of Farringdon Road, Middlesex, gilder – to Mary Ann Tonge, widow. Ellen Tong – d. 19 May 1902, of Dewsbury, Yorkshire, spinster – to Mary Ellen Taylor, spinster and the Reverend Thomas Edward Taylor. John Tong – d. 19 December 1901, of Farnsworth, Lancashire, corn merchant – to Livsey Tong, licentiate of the society of apothecaries and Herbert Tong, leather factor. Margaret Tong – d. 18 March 1902, of Lytham, Lancashire, widow – to John Williams, painter and decorator. Mary Ann Tong – d. 11 February 1902, of Handsworth, Staffordshire, widow – to Hannah Agnes Tong, spinster. Betty Tonge – d. 6 October 1902, of Bolton, Lancashire, widow – to Margaret Ann Tonge, spinster and Ralph Tonge, self-actor-minder. Charles Tonge – d. 18 April 1902, of Ashton on Mersey, Cheshire – to Wilbraham Tonge, sanitary inspector and Joseph Tonge, builder. Frederick Matthew Tonge – d. 22 July 1902, of Warrington, Cheshire, wire drawer – to Lizzie Tonge, widow. Joseph Ashworth Tonge – 6 November 1902, of Radcliffe, Lancashire, carter – to Sarah Tonge, widow. Alice Tong – d. 4 July 1903, of Over Hulton, Lancashire, wife of William Tong – to the said William Tong, colliery engine winder. John Tong – d. 9 November 1903, of Blackpool, Lancashire – to Sarah Tong,widow. George Tonge – d. 18 March 1903, of Brighton, Sussex and Grovesnor Place, London – to Charles Francis Tong and Gilbert Augustus Tong, esquires. John Norton Tonge – d. 8 July 1903, of Chevening, Kent – to Anna Penelope Tonge, widow and William Corrie Tonge, army major. Richard Tonge – d. 9 February 1903, of Misterton, Nottinghamshire, farm labourer – to William Tonge, labourer. Thomas Tonge – d. 6 July 1897, of Sydney, Australia, gentleman – to Arthur James Sullivan. William Tonge – d. 21 August 1903, of West Gorton, Manchester – to Richard Tonge, pattern card maker and Joseph Bagshaw, warehouse clerk. Hannah Tong – d. 7 June 1904, of Smethwick, Staffordshire, spinster – to Maria Aston, widow and Thomas Henry Richards, bookkeeper. James Tong – d. 12 March 1904, of Enfield, Middlesex – to Frank John Tong, carpenter and James Tong, gardener. Thomas Tong – d. 12 January 1904, of Kearsley, Lancashire, timber dealer – to William Tong, wheelwright. Edward Tonge – d. 22 December 1903, of Newton Heath, Lancashire, licensed victualler – to Martha Alice Tonge, widow and Hamlet Wright, grocer. Elizabeth Tonge – d. 20 March 1904, of Spalding, Lincolnshire, widow – to Betsy Proctor, widow. Gervase Woodhouse Tonge – d. 12 February 1904, of Gravesend, Kent – to Gervase England Tonge, tea merchant and George Bursall Tonge, chemist. James Tonge – d. 18 May 1904, of Southport, Lancashire – to Mary Emma Tonge, widow. Mary Ann Tonge – d. 25 December 1903, of Bolton, Lancashire, widow – to Edwin Tonge, commercial clerk. William Tonge – d. 12 April 1904, of Rixton with Glazebrook, Lancashire, farmer – to John Tonge, farmer. Annie Tong – d. 19 June 1905, of Lincoln, wife of David Tong – to David Tong, cattle dealer and farmer, Catherine Elizabeth Annie Tong and Grace Asman Tong, spinsters. Charlotte Tong – d. 20 May 1905, of Faversham, Kent, spinster – to Frank Crosoer, bank manager. George Tong – d. 16 October 1905, of Brandesburton, Yorkshire – to William Tong, farmer and George Dobson Bassingdale, blacksmith. Jane Tong – d. 10 November 1905, of Bristol, widow – to William John Lowrie Lewis, artist. William Tong – d. 8 October 1905, of Bromley, Kent – to William Thomas Tong, horse flesh dealer, James Tong, cheesemonger and Anne Amelia Quilter, wife of Frederick Henry Quilter. Elizabeth Tonge – d. 2 August 1902, of Southport, Lancashire, wife of James Tonge – to Mary Emma Tonge, widow. Hannah Tonge – d. 6 April 1905, of Swinton, Lancashire, widow – to Joseph Hall, colliery engine man. James Catlett Tonge – d. 22 June 1904, of West Kirby, Cheshire – to James Birch, farmer and James Williamson, gentleman. Joseph Tonge – d. 14 September 1905, of East Castleton, Lancashire – to Mary Ann Tonge, widow and Samuel Kay, leather worker. Mary Ellen Tonge – d. 30 November 1904, of West Kirby, Cheshire, spinster – to Amy Birch, wife of James Birch. Robert Crompton Tonge – d. 20 February 1905, of Bolton, Lancashire – to Edith Annie Tonge, widow. Emma Tong – d. 9 October 1906, of Bolton, Lancashire, widow – to Arthur Tong, cotton mill manager and Thomas Conway, commercial traveller. William Tong – d. 23 September 1905, of North Fitzroy, Victoria, Australia, squire – to St Barbe Russell Sladen, solicitor and attorney of the trustees. James Tonge – d. 24 January 1906, of Oldham, Lancashire, labourer – to Thomas Tonge, iron moulder and Charles Tonge, labourer. James Ashton Tonge – d. 25 December 1905, of Atherton, Lancashire, licensed victualler and vetinary surgeon – to George Shaw, brewer. John Tonge – d. 5 April 1906, of Horwich, Lancashire – to Joseph Tonge, miner, Christopher Tonge, tile maker and Walter Tonge, fitter. Joseph Tonge – d. 28 June 1906, of Grainsby, Lincolnshire – to George Tonge and William Hosea Campion, farmers and Samuel Mackerill, builder. Louisa Margaret Tonge – d. 2 April 1906, of Didsbury, Lancashire, widow – to Agnes Margaret Gough, wife of the Reverend Walter Ralph Gough. Mark Tonge – d. 22 August 1905, of Rixton, Lancashire, farmer – to John Tonge the younger , farmer. The Reverend Robert Burchall Tonge – d. 1 January 1906, of Gnossall, Staffordshire – to Emma Rice Tonge, spinster. Sarah Tonge – d. 12 May 1906, of Golborne, Lancashire, wife of John Tonge – to the said John Tonge, warper. Thomas Tonge – d. 18 August 1905, of Rixton, Lancashire, farmer – to John Tonge, farmer. James Tong – d. 4 July 1907, of Bolton Lancashire, carter – to Rosinna Tong, widow. Joseph Tong – d. 17 January 1907, of Mylor, Cornwall, carpenter – to Joseph Roseman Tong, carpenter. William Potter Tong – d. 24 November 1907, of Deptford, Kent – to Frank Tong and John Tong, bricklayers. Henry Dacre Tonge – d. 19 March 1907, of Manchester and Disley, Cheshire, merchant – to William Asheton Tonge, merchant. James Tonge – d. 16 March 1907, of Eccles, Lancashire, foreman mechanic – to Joseph Tonge, foreman mechanic. Margaret Tonge – d. 12 May 1907, of Bolton, Lancashire, widow – to David Kirkman, joiner. Mary Ann Tonge – d. 3 April 1907, of Heywood, Lancashire, widow – to Samuel Kay, leather worker, Mary Houghton, widow and Thomas Hutchison, beer seller. Sarah Ann Tonge – d. 21 September 1906, of Kearsley, Lancashire, spinster – to Ann Tonge, spinster. William Stork Tonge – 17 November 1906, of Manchester, bricklayer – to Hannah Tonge, widow. 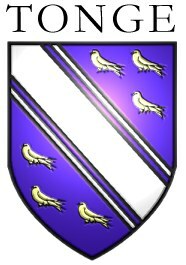 Frederick Tong – d. 2 February 1908, of Helford St Martin, Cornwall – to Mary Elizabeth Tong, widow. Samuel Tong – d. 9 February 1908, of Failsworth, Lancashire – to William Tong, silk manufacturer, Alfred Tong, cotton mill secretary, Walter Tong, analyst and Mary Sinkinson, wife of Robert Louis Sinkinson. William Charles Tong – d. 20 March 1908, of Kirton in Lindsay, Lincolnshire – to Harold Charles Haselwood Tong, land agent. Elizabeth Mary Tonge – d. 3 June 1897, of Manchester, widow – to Alfred Tonge, commercial clerk. James Tonge – d. 2 July 1908, of Whitefield, Lancashire, stonemason – to Alice Tonge, widow. Mary Ann Tonge – d. 25 February 1907, of Cardiff, widow – to Tom Cliffe, wharfinger. William Tonge – d. 27 November 1908, of Farnworth, Lancashire – to Nancy Healey, wife of George Healey and William Darbyshire, pawnbroker. Charlotte Ann Johnson Tonge – d. 6 January 1909, of Crowle, Lincolnshire, spinster – to William Harold Lee, printer. Hannah Tonge – d. 20 April 1909, of Sale, Cheshire, widow – to Edward Hardman, printer and Henry Hardman, furniture remover. Hezekiah Tonge – d. 24 August 1909, of Blackpool, Lancashire – to Emma Pennington, wife of Harry Pennington. Robert Tonge – d. 27 February 1909, of Farnworth, Lancashire, colliery check weighman – to Sarah Ann Tonge, widow. Thomas Tonge – d. 8 May 1909, of Bolton, Lancashire, foundry labourer – to James Tonge, collier. Betsy Tong – d. 8 August 1910, of Blackpool, Lancashire, spinster – to Livsey Tong MD and Herbert Tong, leather factor. Eunice Martha Tong – d. 22 March 1910, of Leytonstone, Essex, widow – to Walter Edmondson, electrotyper. John Tong – d. 5 February 1910, of Ashford, Kent, bricklayer – to Ellen Tong, widow. Sarah Ann Tong – d. 8 January 1910, of Binfield, Berkshire, spinster – to Alice Mary Yates, wife of Charles William Yates. Thomas Tong – d. 25 February 1910, of Bolton, Lancashire, spindle and fly maker – to Mary Ann Tong, widow. William Harry Tong – d. 16 February 1910, of Harringey, Middlesex – to Harriett Ann Tong, widow. Arthur Wellington Tonge – d. 17 April 1910, of South Norwood, Surrey – to Minnie Caroline Tonge, spinster. Joseph Allen Tonge – d. 11 April 1910, of Kearsley, Lancashire, dataller in a coalmine - to Mary Ellen Tonge, widow. Percival Tonge – d. 24 October 1910, of Birkdale, Lancashire, gentleman – to Bertha Emily Tonge, spinster, Mabel Leicester Coventry, wife of George Coventry and Thomas Coventry, bank manager. Robert Tonge – d. 16 February 1910, of York – to Edward Tonge, esquire MBBS and Edith Tonge, spinster. Thomas Tonge – d. 8 November 1909, of Swinton, Lancashire, gentleman – to Peter Tonge, painter and Jane Tonge, spinster. Eliza Tong – d. 9 April 1911, of Bracebridge, Lincolnshire, widow – to George Watson, nurseryman. George Tong – d. 12 November 1910, of Eardisland, Herefordshire – to Elizabeth Tong, widow. Jane Tong – d. 5 February 1906, of Lambourn, Berkshire, widow – to Edward Brooks Ormond, solicitor and John William Kent, ironmonger. Charles Tonge – d. 11 February, of Brighton, Sussex – to Elizabeth Tonge, widow. The Reverend George Tonge – d. 25 December 1910, of Stoke on Trent, Staffordshire - to the Reverend George Preston Tonge. John Tonge – d. 18 October 1910, of Epworth, Lincolnshire – to Annie Tonge, widow. Mary Ann Tonge – d. 18 July 1911, of Llandudno, Carnarvonshire, wife of Robert Tonge – to Frederick Charles Tonge, bank accountant and Joseph Edward Tonge, chartered accountant. Sophia Tonge – d. 12 March 1911, of Altringham, Cheshire, widow – to Margaret Annie Wall, spinster. Frederick Charles Tonge – d. 10 April 1912, of Flixton, Lancashire – to Lucy Tonge, widow and Joseph Edward Tonge, accountant. John Tonge – d. 4 May 1912, of Rixton, near Warrington, retired farmer – to Adam Horrocks, shopkeeper. John Broyden Tonge – d. 20 September 1912, of Barrow in Furness, Lancashire – to Mary Tonge, widow. Frederick Tong – d. 19 August 1913, of Faversham, Kent – to Ellen Tong, widow and John Barnet Eldridge, fruit grower. Mary Elizabeth Tong – d. 8 May 1913, of Manaccan, Cornwall, widow – to Marian Lucy Westhead, spinster. Phoebe Tong – 12 April 1913, of Michelmersh, Hampshire, spinster – to Joseph Tong, labourer and Phoebe Stevenson, wife of Walter Stevenson. William Tong – d. 12 May 1913, of Michelmersh, Hampshire, labourer – to Alfred Henry Tong, bricklayer. William Tong – d. 28 July 1913, of Middle Hulton, Bolton, Lancashire, colliery engine winder – to James Linton Green Tong, stationary engine driver and Richard Bickerstaff, coal miner. Alice Tonge – d. 9 April 1913, of Heswall, Cheshire, spinster – to Thomas Birch, Clerk to the Board of Guardians. Ann Tonge – d. 17 March 1913, of Stowe, Shropshire, widow – to Henry Edgar Hamer, railway signalman and William Evans, gardener. Annie Tonge – d. 28 September 1913, of Langham Place, London, wife of Christopher Tonge – to Harold Asheton Tonge, esquire. Elizabeth Tonge – d. 21 November 1912, of Kearsley, Lancashire, widow – to Mary Gerrard Chapman, wife of Edwin James Chapman. George Tonge – d. 7 January 1888, of Bury, Lancashire – to Martha Townend, wife of Alfred Townend. James Tonge – d. 21 October 1913, of Bolton, Lancashire – to Robert Tonge, operative cotton spinner and James Tonge, carter. Jane Tonge – d. 9 April 1913, of Prestwich, Lancashire, widow – to Albert Tyldsly, assistant magistrates clerk. John Tonge – d. 8 October 1912, of East Markham, Nottinghamshire - to Frances Tonge, widow. Mary Ann Tonge – d. 29 October 1913, of Stockport, Cheshire, wife of James Tonge – to Steven Stafford Wood, commission agent, Ann Barton Wood, wife of Steven Stafford Wood and Florence Emily Tonge, spinster. Peter Jones Tonge – d. 3 November 1912, of Freemantle, Western Australia – to Adam Monks, blacksmith, attorney of Margaret Tonge, widow. George Edwin Tong – d. 23 April 1913, of Dewsbury, Yorkshire – to Edwin Boocock, warehouseman. James Tong – d. 2 April 1914, of Forest Hill, Kent – to William James Tong, brewer and Carrie Horatia Collier, wife of Rupert Edward Collier. Thomas Tong – d. 6 June 1914, of Shrewsbury, Shropshire, provision dealer – to Harry Tong, commercial traveller. Eliza Tonge – d. 2 February 1913, of Hull, Yorkshire,widow – to William Cornelius Tonge, engine driver. Isaac Smith Tonge – d. 21 May 1905, of Hull, Yorkshire – to William Cornelius Tonge, engine driver. John Tonge – d. 7 August 1914, of Bolton, Lancashire – to Harry Tonge, draper. Maud Tonge – d. 27 June 1914, of Farnworth, Lancashire, wife of Thomas Tonge – to the said Thomas Tonge, a cooperative society audit clerk. Charles Tong – d. 30 May 1915, of Hackney, Middlesex – to Alfred Tong, brushmaker. Elizabeth Tong – d. 16 November 1914, of Newton Abbot, Devon, widow – to Albert John Tong, insurance agent. John Tong – d. 12 October 1911, of Rochester, Kent – to Sarah Tong, widow. Martha Tong – d. 23 November 1915, of Ravensthorpe, Yorkshire, wife of James Tonge – to Ralph Kershaw and Henry Kershaw, french polishers. Beatrice Mary Tonge – d. 25 July 1915, of Fulwood, near Preston, Lancashire, wife of John Henry Tonge – to the said John Henry Tonge, engineer. Charles Francis Tonge – d. 11 June 1915, of Richmond, Surrey – to Gilbert Augustus Tonge, merchant. Edwin Tonge – d. 26 February 1915, of Astley, Lancashire, farmer – to Selina Tonge, widow. George Tonge – d. 10 May 1915, of Stockport, Cheshire – to Florence Tonge, widow. Sarah Tonge – d. 11 July 1915, of Farnsworth, Lancashire, wife of Rupert Tonge – to the said Rupert Tonge, herbalist. Annie Tong – d. 27 July 1916, of Bolton, Lancashire, wife of Thomas Barlow Tong – to the said Thomas Barlow Tong, brewer, Walter Greenwood, secretary of a company and James Grimes Silvester Thornley, auctioner and valuer. Joseph Kingsmill Tong – d. 11 May 1915, of Faversham, Kent – to Richard John Sankey, retired merchant. Susanna Tong – d. 21 June 1915, of Keyingham, Yorkshire, wife of Joseph Tong – to Frank Tong, market gardener and Arthur Lockey, solicitors managing clerk. Agnes Tonge – d. 19 February 1916, of Chadderton, Lancashire, wife of William Tonge – to Lena Ogden, wife of Ernest Ogden and the Reverend William Tonge. Alfred Burnaby Tonge – d. 26 September 1916, of Forest Hill, Kent, Private 4th London Regiment – to Alfred William Tonge, printers assistant. John Tonge – d. 24 July 1916, of Rochdale, Lancashire – to Ernest Henry Sanders, precious stone dealer, James Edward Ormerod, eyelet maker and Robert Henry Smithies, iron merchant. Margaret Annie Scawin Tonge – d. 27 August 1916, of York, spinster – to Thomas James Tomlinson, retired tea merchant, Daniel James Burden Tonge, bank clerk and Arthur Stanley Tonge, engineer. Maria Sarah Tonge – d. 3 June 1915, of Balls Pond, Middlesex, spinster – to Sarah Ann Sculthorp, spinster. Robert Tonge – d. 19 July 1916, of Ossett, Yorkshire – to Jessie Tonge, widow. Samuel Thomas Tonge – d. 27 February 1916, of Staleybridge, Cheshire – to Mary Elizabeth Tonge, widow. Selina Tonge – d. 3 June 1916, of Astley, Lancashire, widow – to Ellis Tonge and John Tonge, farmers. William Russell Tonge – d. 13 January 1916, of Knutsford, Cheshire, 2nd Lieutenant, 17th Battalion, The Manchester Regiment – to Anna Tonge, widow. Betty Tong – d. 13 March 1917, of Bolton, Lancashire, widow – to Eliza Jane Edmondson, wife of John Stephen Edmondson. George William Tong – d. 3 May 1917, of Wrawley, Lincolnshire – to Robert Tong, farmer and George Ernest Tong, solicitor. Mary Ann Tong – d. 17 December 1916, of Bolton, Lancashire, widow – to Peter Watson, clogger. Sarah Alice Tong – d. 25 February 1917, of Bolton, Lancashire, wife of Thomas Albert Tong – to the said Thomas Albert Tong, licensed victualler. Thomas Barlow Tong – d. 30 June 1917, of Bolton, Lancashire – to Peter Tong and William Tong, brewers. William Edward Tong – d. 9 October 1917, of Bolton, Lancashire, hotel manager – to Susanna Tong, widow. William Scott Tong – d. 29 November 1916, of Norwood, Surrey – to Mary Jane Tong, widow. Anna Penelope Tonge – d. 27 April 1917, of Cowfold, Sussex, widow – to William Corrie Tonge, colonel HM army. Charles Tonge – d. 27 March 1917, of Rochdale, Lancashire, beer retailer – to Margaret Tonge, widow. Daniel Tonge – d. 26 May 1917, of Stockwith, Nottinghamshire – to John Richard Holgate, farmer. Ellen Tonge – d. 13 December 1916, of Swinton, Lancashire, widow – to William Thomas Atkinson, collier. Gervas Tonge – d. 14 February 1916, of Epworth, Lincolnshire – to Barbara Ann Tonge, widow. John Tonge – d. 21 December 1916, of Shagglethorpe, Lincolnshire – to Richard Ingall Tonge, farmer and Gertrude Annie Tonge, spinster. John Tonge – d. 19 April 1917, of Great Grimsby, Lincolnshire, lieutenant colonel, North Midland Brigade RFA – to Cecil Roland Stephen, county court registrar, John Denton Marsden, managing director and Frederick Tonge, solicitors clerk. Joseph Tonge – d. 1 January 1917, of Bury, Lancashire, spindle and fly maker in a foundry – to Arthur John Wilson, trade union secretary. Mary Tonge – d. 20 December 1916, of Putney, Surrey, widow – to Mary Alice Tonge, spinster. George Tong – d. 16 January 1918, of Portsmouth, Hampshire, retired boot shop manager – to Louisa Martha Tong, widow. William Tong – d. 20 June 1918, of Heaton, Bolton, Lancashire – to Bertha Tong, widow and Walter Wharton Tong, brewer. Henry Tonge – d. 18 February 1918, of Great Lever, Bolton, Lancashire – to John Tonge, shell turner and Walter Wane, head carder. Hindle Crompton Tonge – d. 18 February 1918, of Farnworth, Lancashire, private 67th Labour Company – to Elizabeth Ann Tonge, widow. Horace Seymour Tonge – d. 1 June 1918, of Twickenham, Middlesex – to Beatrice Ada Tonge, widow. Jessie Tonge – d. 23 September 1918, of Maidstone, Kent, spinster – to Daniel James Burden Tonge, bank clerk and Emily Tonge, spinster. John Edward Tonge – d. 26 April 1918, of Forest Hill, Kent, private, 2/4th Battalion, Royal West Surrey Regiment – to Alfred William Tonge, printers labourer. John Richard Tonge – d. 16 December 1917, of Eccles, Lancashire, temporary lieutenant, 15th (Service) Battalion, Lancashire Fusiliers – to John Tonge, cotton spinner. Robert Crompton Tonge – d. 17 February 1918, of Horwich, Lancashire – to Mary Catherine Taylor Tonge, widow. Septimus Tonge – d. 9 May 1918, of Llandudno, Carnarvonshire, major, MGC – to Roland Tonge, bleach works secretary. Seth Tonge – d. 11 June 1918, of Farnworth, Bolton, Lancashire, cotton mill manager – to Jane Tonge, widow. Arthur Frederick Tong – d. 28 September 1918, of Harrietsham, Kent, flight lieutenant RAF – to Arthur Tong, builder. George Tong – d. 16 August 1918, of Bolton, Lancashire, lieutenant 422 Field Company RE – to Alice Jane Tong, widow. Sam Tong – d. 12 February 1919, of Dewsbury, Yorkshire – to Elizabeth Tong, widow. Vernon Tong – d. 16 December 1918, of Bolton, Lancashire, lance corporal RASC – to Jane Tong, widow. William Tong – d. 20 June 1918, of Heaton, Bolton, Lancashire – to Thomas Barlow Tong, brewer, William Tong, gentleman and Mary Victoria Tong, spinster. Charles George Tonge – d. 11 March 1919, of Highams Park, Essex – to Robert Tonge, fruit buyer. Elizabeth Ann Tonge – d. 25 January 1919, of Farnworth, Bolton, Lancashire, widow – to Mary Hannah Tonge, spinster. Harry Tonge – d. 25 October 1918, of Eccles, Lancashire, temporary lieutenant, 2nd Garrison Battalion, Northumberland Fusiliers – to Ethel Browne Tonge, widow and Charles William Tonge, accountant. James Tonge – d. 22 March 1919, of Hale, Westmoreland – to Harry James Blundell, accountant. Jane Tonge – d. 6 May 1919, of Staleybridge, Cheshire, widow – to William Lacon Tonge, methodist minister and George Harry Tonge, incorporated accountant. Lavinia Ellen Tonge – d. 5 October 1918, of Broseley, Shropshire, widow – to Evelyn Percival Tyndale, wife of Robert Tyndale. Martha Tonge – d. 26 February 1919, of Bolton, Lancashire, widow - to Charles Tonge Bradley, beam carrier and Ellen Orrell, wife of James Orrell. Richard Tonge – 24 April 1919, of Disley, Cheshire – to Richard Asheton Tonge, merchant. Sarah Ann Tonge – d. 4 November 1919, of Boston, Lincolnshire, wife of Charles Tonge – to the said Charles Tonge, inspector of weights and measures. Walter Tonge – d. 29 October 1918, of Southport, Lancashire, railway porter – to Selina Tonge, widow.